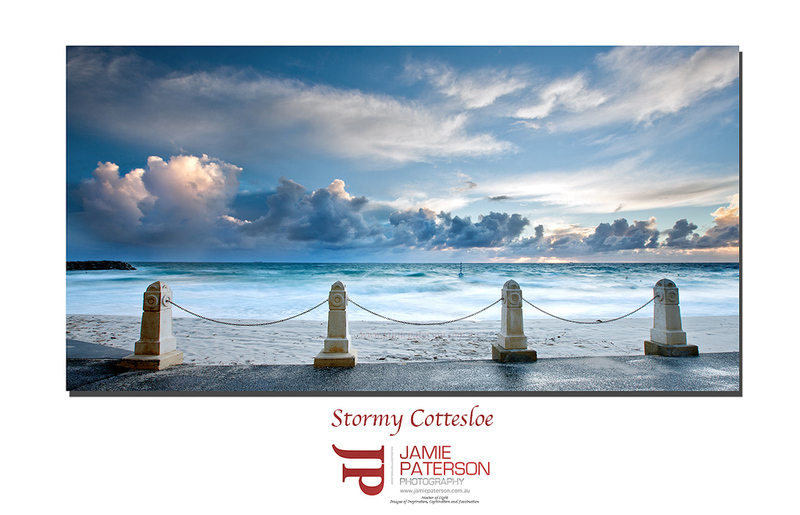 This entry was posted in australian landscape photography, australian seascape photography and tagged australia, australian landscape photography, australian seascape photography, beautiful sunrises and sunsets, coastal photography, cottesloe beach, cottesloe sunset, jamie paterson photography, perth, storms, sunset, western australia. I kinda love this shot, its not your usual but its got a real interesting feel like you are waiting for something to happen. cheers for the post. Nice shot mate for sure…and yep you do have to get out there!! As they say F8 and be there is a good start to getting a good shot! Thanks mate. I’ve got some others from yesterday that I’ll put up sometime today. Thanks very much for that I really appreciate it. I’ve got more coming later today but first I’m off to hit Cottesloe Beach again in about 2hrs and then this evening again. Very nice Jamie. I really like it too. I would be going for the print and hanging it too. Thanks very much mate. Melissa says that she definitely wants this one on our wall. Those clouds are brilliant. And the colours are great. Definitely not your usual shot of Cottesloe that everyone takes either, which is nice to see. Thanks very much for that. You got the sneak peak of my other photos on the back of my camera. LOL. Hey Jamie, great cloud band and colours captured. I’d have this on my wall also, cracker image mate. Now that is the best excuse I’ve heard yet for a gallery. What a great idea! Thank you very much for taking the time to comment.